Welcome to the Speculative Grammarian Оrthοɡrаphіс Ρerplехеr! This not-quite-pointless little tool will munge your text, randomly replacing some characters with homoglyphs that are nearly identical1—or at least quite reasonably similar to the untrained eye. Why? To make text both very hard and very easy to find via normal search (try to find “οrthoɡrарhіс реrрleхer” on this page, for example); to confuse and amaze your friends and enemies alike;6 to pass the time in a typographically pleasing way.7 Read the footnotes for more information, or just give it a try below! 2 If you don’t like the look of a particular character in a particular font that you want to use, you can re-реrplех your text and hope for a more favorable roll of the dice the next time. You can also explicitly exclude certain characters from being used in your реrрleхеd tехt by listing them in the “Exclude these characters” section. 3 Characters in the selected substitution sets can be swapped for others in other substitution sets. If your input is in the Latin alphabet, you need to select “Latin”, or no Latin characters will be considered for substitution. That would be very boring. The default selections generally work quite well in most fonts, with the others being much more likely to fail in any given font. But when they do work, they are quite perрlехіnɡ. 4 Three additional samples are available. The Color Coded sample highlights which specific characters have been substituted (or available for substitution but left unchanged). In many browsers, hovering your mouse over a color coded character will also show a tool tip with the character set used. The Noto Web Fonts sample loads Google’s Noto sans-serif web fonts, which have been designed to have a reasonably similar design across all covered writing systems. These fonts are not installed on your system unless you installed them, so cut-n-paste will generally not work well for the Noto sample, but it gives you an idea of the best plausible display scenario for the pеrрlехed tеxt you’ve generated. 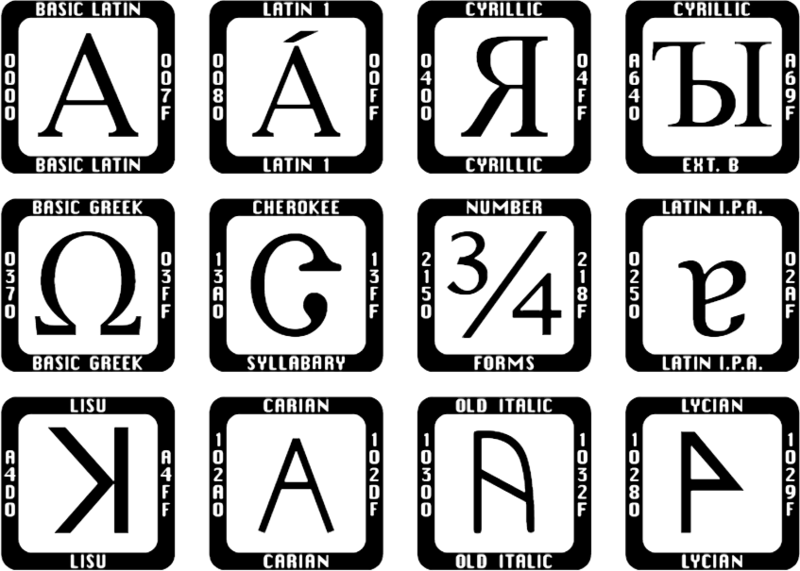 5 Mobile devices often lie about having particular fonts, for example claiming they have Arial, Helvetica, Tahoma, and Verdana when they are all just aliased to the same thing. Sorry. 6 Though if you use the Оrthoɡrарhіс Ρеrрleхer on unsuspecting and underserving civilians and other non-combatants, you are a right jerk. I’ll say no more, but you know who you are.